I just love this time of year. 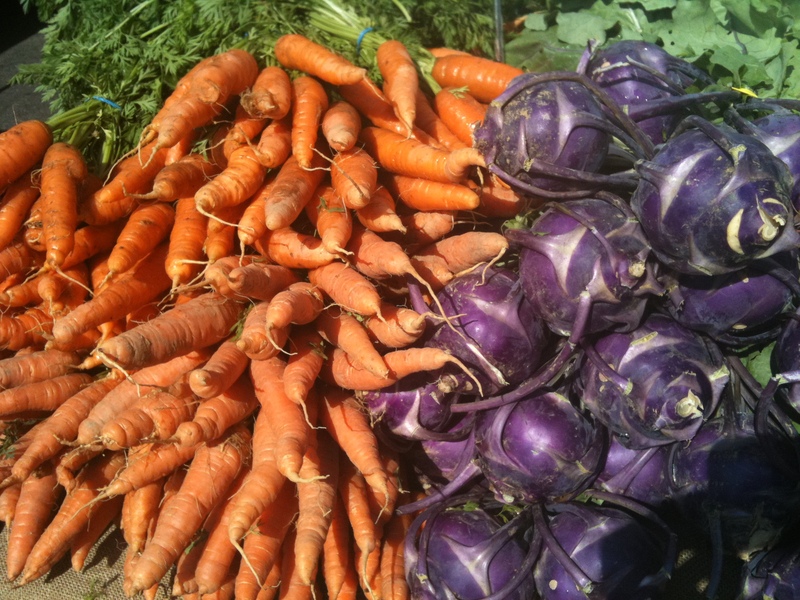 The farmers markets are offering up an abundance of fresh ingredients, and inspiring us with new ideas. The nice weather is making us want to eat light and keep it simple. More and more these days, I’m wanting to make recipes with just a few ingredients that simply highlight the fresh flavors that the season has to offer. It can be a challenge to walk out of the farmers market with just one or two items, but I have to think of my schedule, and realistically plan for what I’ll actually eat. So this week at the Thursday Penn Quarter market, it was a giant head of escarole, and I knew right away that it was destined for the soup pot alongside a can of white navy beans (few things in life pair together so nicely). Now if you’re familiar with my love of pork, you may be thinking sausage or pancetta were in my future, but you would be wrong. 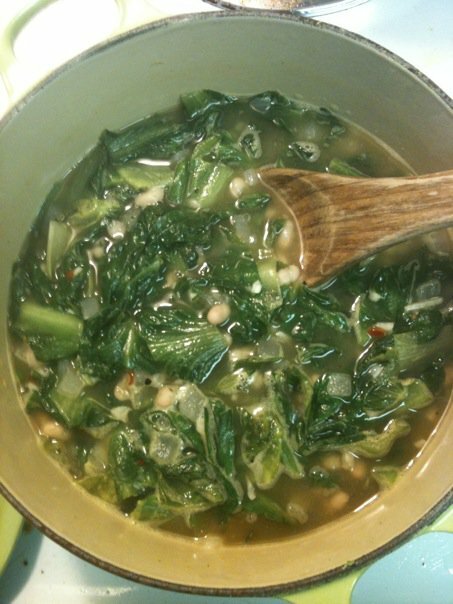 I did a nice vegetarian version of white bean and escarole soup – for me, the pure essence of early summer in a bowl. Just a handful of ingredients, made from memory – comforting, light, and simple. Heat 1 Tablespoon olive oil in a pot over medium heat. Add the onion and saute until translucent, about 5 minutes. Add the garlic and red pepper flakes and saute an additional 1 – 2 minutes. Add the escarole and saute until it is wilted. Add the white beans and broth and stir to combine. Bring to a simmer and cover partially. Simmer over medium-low heat until the escarole is tender, 20 – 30 minutes. Season with salt and pepper. Serve with some shaved parmesan and a drizzle of olive oil. Or, for a heartier lunch, top with some fresh pesto and serve with some crusty bread.